PCOS is one of the most common causes of female infertility. Also called polycystic ovary syndrome, PCOS is a fertility health issue believed to affect one in 10 women of childbearing age. Each woman fits into one of two groups – classic/Type 1/insulin-resistant PCOS, or Type 2/non-insulin resistant PCOS – based on the diagnostic criteria they meet. The criteria for both groups include menstrual irregularities, absent periods, ovulation issues, multiple small cysts on the ovaries, hormonal imbalance, excess testosterone, male-pattern hair growth or loss, weight gain, and acne. Women with classic/Type 1 PCOS sadly have an additional troublesome component, insulin resistance. The body makes the hormone insulin to help glucose travel from the blood into cells in the muscles, liver and adipose tissue or fat. Glucose comes from the food we eat. It is within the muscles, liver and fat that glucose is used for energy. “Insulin resistance is when cells in your muscles, fat, and liver don’t respond well to insulin and can’t easily take up glucose from your blood. As a result, your pancreas makes more insulin to help glucose enter your cells…” – National Institute of Diabetes and Digestive and Kidney Diseases. For many women with insulin-resistant PCOS, the pancreas often makes too much insulin. I share why below. Symptoms may be confused with symptoms of other health issues, and it is possible for some women with insulin-resistant PCOS to be asymptomatic. Be sure to discuss any concerning symptoms with your healthcare provider. Genetic and lifestyle risk factors are thought to be at the root of why women develop insulin-resistant PCOS. Beyond family history, age and ethnicity (which no one can change), lifestyle risk factors are of greatest concern: overeating highly-processed or “junk” food, not exercising enough, weight gain, obesity, smoking and lack of sleep. If diet and lifestyle are poor, the pancreas is likely to overcompensate and make too much insulin, this is when the body can become resistant to insulin. The issue then becomes that …“The excess insulin eventually leads to an increase in testosterone levels as the body strives to right itself, and the resulting testosterone can inhibit fertility and completely halt ovulation,” shares author of the guide Leah Campbell in her guide Insulin Resistance and How it Affects Fertility. The goal for medical and natural healthcare practitioners helping women with insulin-resistant PCOS is to help the body improve and regulate insulin production and sensitivity. The medical approach is likely to include prescribing weight loss and dietary changes, and for some, oral contraceptives and blood-sugar lowering medication, such as Metformin. The natural approach doesn’t differ that much. Natural health practitioners will suggest that dietary changes are key, but that focus also needs to be placed on exercise, achieving a healthy BMI and getting adequate sleep. We will educate you about natural alternatives to blood-sugar-lowering medications as well, and suggest working to correct the imbalance at the source and support the body, rather than tricking it into action with hormonal medication. 2. Exercise to Achieve a Healthy BMI. We know this can be challenging! Yet, with a commitment to dietary changes first, energy levels and outlook/optimism increase so that many women are driven to move more as a result. 3. Get Adequate Sleep! Sleep is essential to the body’s ability to recharge and function at its best! Daytime sleepiness and fatigue don’t help one want to eat better or exercise! Insulin resistance, obesity and hormonal imbalance (along with so many more health issues) are linked to poor sleep. 4. Consider Herbs & Supplements. Inositol, Gymnema (Gymnema sylvestre) and Berberine are on the list of natural alternatives to medications for insulin resistance. PCOS is a complex endocrine system disorder BUT healthcare providers across all healing modalities believe women can overcome it with a commitment to changing one’s diet and lifestyle. When insulin levels are balanced, the body is better able to regulate overall reproductive function, including hormone balance, ovarian function, egg quality, and the menstrual cycle. There is no need to go the journey alone! If you are not sure how or where to make changes, we are here to help. 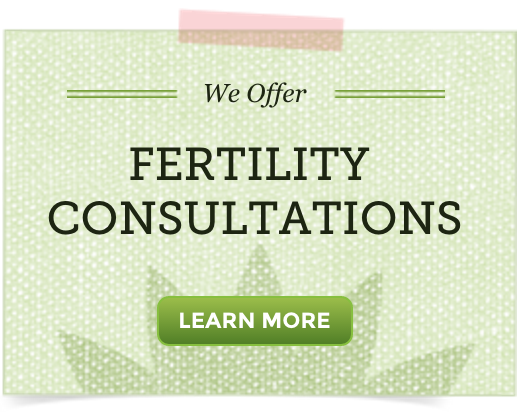 Our fertility herbalists help create 3-6 month natural fertility programs through our Fertility Consultations and would be happy to help you.